Casey is looking forward to the summer break. She and her best friend Jillian have made a lot of plans to make their summer the best one ever. What Casey doesn’t know is that her parents have bought a house in a small town and that they’ll be fixing it up during the summer. Casey storms off to her room and keeps sulking about it. When they pull up at the house, it’s even worse than Casey thought it would be. The house has no electrical power, no landline and she has no reception on her cell either. As soon as Casey enters the house she feels that something is not right. She hears inexplicable noises, things are moving on their own and she has vivid dreams every night. She even finds a message on a dusty mirror that says ‘Get Out’. Who is this someone that clearly doesn’t like the new home-owners? Casey gets scared easily and likes to stay on the safe side. She feels watched all the time and she has no idea how to deal with a possible ghost. In the attic she finds a diary and she’s immediately drawn in by the stories of a young girl named Millie who once lived in the house. The writing suddenly stops and Casey tries to find people in town who might have known what happened to Millie. She finds out that the truth about why Millie’s writing stopped is truly horrifying. Is Millie the ghost she keeps hearing? The Dead End is a chilling story about a haunted house. I've always liked to read creepy stories and I absolutely loved the thrill of The Dead End. I think secluded houses in the woods are so scary and I would never buy one, let alone live in one. Casey is very easy to connect with, even though this story is written for teenagers I still felt close to her and I read The Dead End in one sitting. The Dead End is the first book in the Poison Apple series and I'm certain that I'll be reading every single one of these amazing stories. 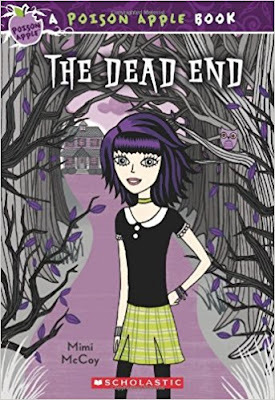 If you’re looking for a creepy story about a haunted house that is age appropriate for teenagers, The Dead End would be a perfect choice. One very lucky reader of With Love for Books will receive paperback copies of three books in the Poison Apple series, The Dead End, Miss Fortune and Curiosity Killed the Cat. 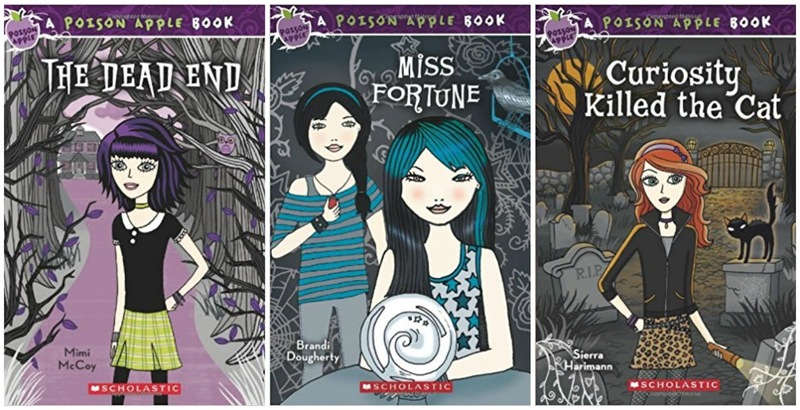 Each book in the Poison Apple series can be read as a standalone and the stories have been written by different authors. Horror has always been my favorite genre. Even when I was a young girl. My favorite is Salem's Lot by Stephen King. It still scares me! It would have to be It by Stephen King. I read it as a teen and it gave me nightmares. Great book. I don't have a favourite one, I do like Stephen King's novels though. At the moment I'm reading The apprentice so that series might at the top too. My favourite scary story is The Stand by Stephen King because I believe it could actually happen one day. love IT by Stephen King, so scary!! All of Stephen king's books. It by Stephen King. Because I have Coulrophobia. It by Stephen King. That book looks like a satisfying read. Dark Water, I love that movie until the end. The Ring, same I love that movie. MAMA is a great movie. Orphan, Case 39, Silent Hill. Anything with a kid main character. Pet Sematary. That whole coming back to "life" is incredibly creepy. I'm not a huge fan of scary stories. I did 'enjoy' The Caller by Chris Carter in that it was so grisly I couldn't put it down. I love The Passage by Justin Cronin, it's just so well written & chilling! I really like the fact that each book in the series is by a different author. This gives the (teenage) reader the chance to experience various writing styles.